This week BUCU members will receive their ballot papers as UCU nationally roll out a ballot of 70,000 members over employers’ failure to improve on the below-inflation 2% pay offer made at pay talks last May. 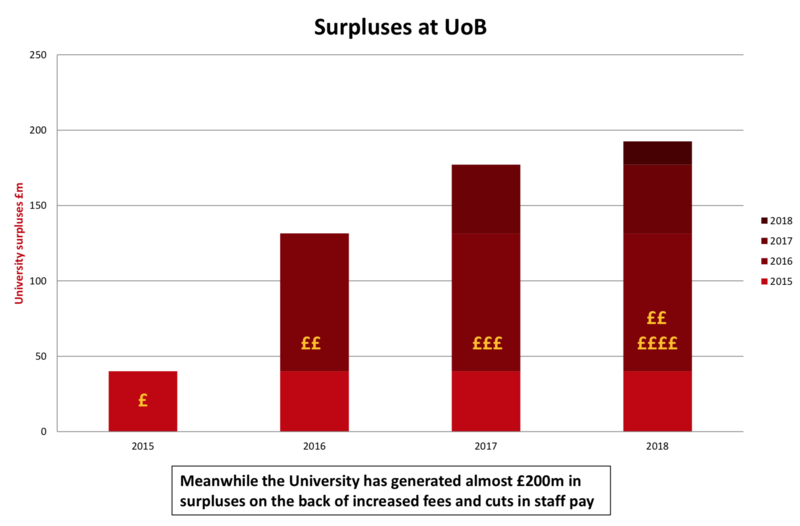 Our analysis, based on the University of Birmingham’s latest published accounts (2017-18), shows the stark disparity between average and senior executive pay at our institution and why we all need to vote in this dispute. 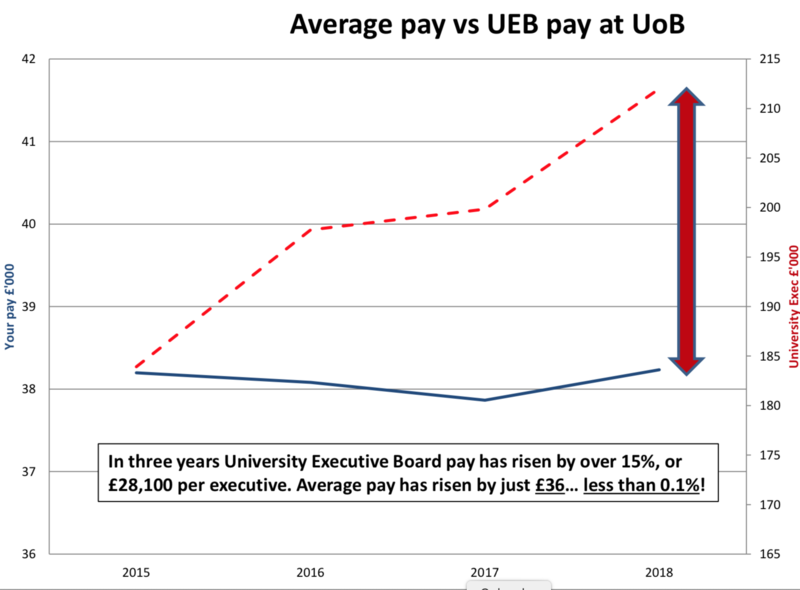 Exhibit 1 for the prosecution – in three years, University Executive Board pay has risen by over 15%, or £28,100 per executive… In the same time, average pay has failed to even keep pace with inflation and has risen by just £36… yes that’s £36 or less than 0.1%! Average pay is in fact £3,400 less now than it would have been across the University if it had matched inflation, a loss of 8.8% in just three years! And exhibit 2 – In 2017-18, the Vice Chancellor Professor Sir David Eastwood’s total remuneration came to £444,000, nearly 12 X as much as the median staff pay. 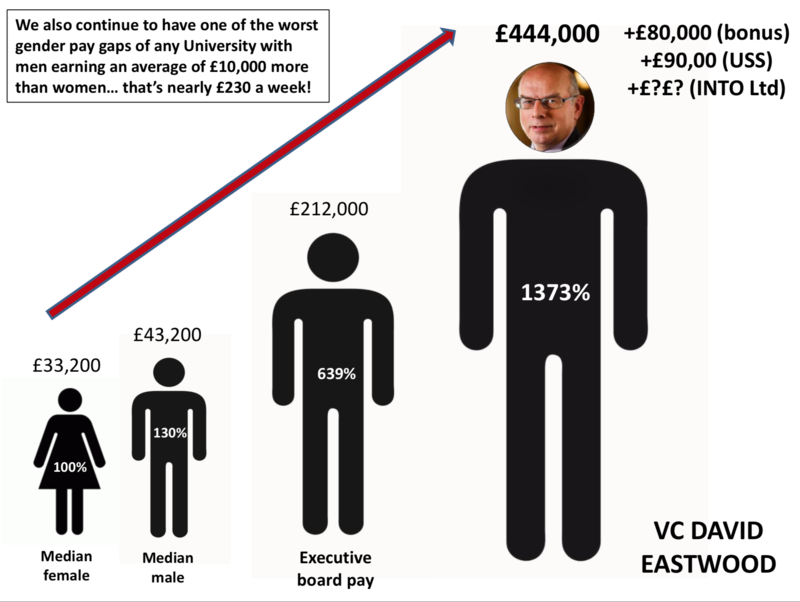 In 2018, David Eastwood was revealed to be the highest paid university of Vice-Chancellor in the country. This meant he earned an incredible 28 times more than some staff, yet he and his negotiators continue to argue against becoming an accredited living wage employer. And it also means that this year he has already earned more by the 13th January (yes, that’s last Sunday) than some staff will earn in the entire calendar year. And there’s more – Birmingham continues to have to have one of the worst gender pay gaps of any University with men earning an average of £10,000 more than women, which works out as nearly £230 a week. Casualisation remains endemic. In 2016, The Guardian revealed 70% of teaching staff were found to on insecure contracts, the highest in the Russell Group. And despite generating almost £200m in surpluses, the University refuses to support our campaign to close the gender pay gap by 2020. From Tuesday 15 January 2018, UCU members at Birmingham along with colleagues across the country have the chance to challenge declining pay and conditions by voting for industrial action. As well as pay, the ballot also aims to secure meaningful guarantees from universities to tackle the gender pay gap, insecure contracts and excessive workloads. Please make your vote count!